Most tables taken. 4 beers on. Shouldnt discuss beer with a vegan. Or food. Or Brexit. No Frills Joe - Brainwash Bitter 5.80 Beautiful dark unfined bitter. A vegan lectured me on drinking beer with fish guts. Big crowd in for afternoon drink. 4 beers on, all very unusual but popular with the locals. Mid evening visit. Good to see the inestimable scribe Dosser from this site and Missus walk in just after me. 5 beers on. Mr Pirrip was in with his big Sainsburys bag delivering mags. 4T's - Mango Fever 4.60 Amazing mango flavours. A most unusual beer but real quality. 4 beers on. Warm afternoon. Boat still celebrating second place in poty micro pub section. Mid evening visit. Most seats taken. 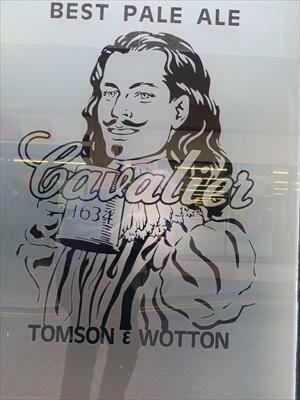 The Cavalier stencil on the front door has gone, explained by the Guv as being the result of an un-apprehended yob booting in a number of shop windows in the road outside. Ramsgate Brewery (Gadds') - DogBolter Dark Porter 5.60 Last couple of pints in cask. Price up to £3.70. The pub is found in Ramsgate, Kent, CT11 9DS. 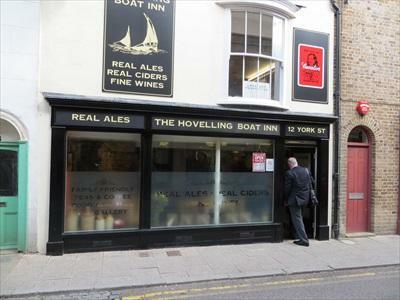 Micropub opened on Good Friday 2013 on the site of the Hovelling Boat pub which closed in 1909 (and re-opened 104 years later). No lager or keg beers are sold here. Other past lives of the building have been as a florist's shop and a fancy gift shop. 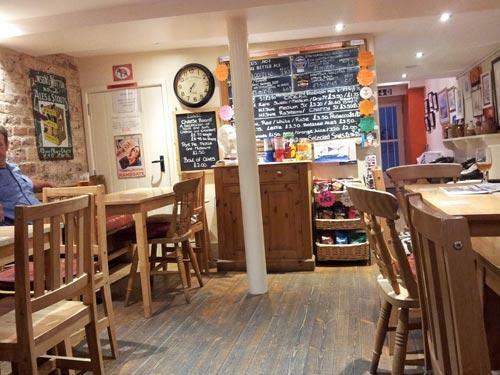 A menu of the beer and cider on offer is shown on a wall blackboard then your drink is fetched (with table service) from a back room having been served on gravity dispense there. Under new ownership in spring 2018. We have visited this pub 183 times, seen 257 different beers and tried 170 of them.